Home Remedies on How to Reduce & Stop Hair Fall. Hair care is a major concern for every lady in their beauty regime as no one would like to carry frizzy, dull, dry and messy hair while going out. In today’s busy lifestyle and changing habits giving proper attention to hair care has become very difficult. Hair fall is a serious issue and reflects the degrading health of hair with time. Hair fall starts off with a reason mainly attributed to lack of care and attention towards the tresses. It is very important for every individual especially those who love their hair to get familiar with some common reasons of hair fall. There are a few home remedies and hair care tips that can help one get over the problem. Avoid burning of curry leaves and maintain it in boiling temperature. Repeat the process twice a week in order to reduce hair fall effectively. Amla helps in strengthened hair follicles and also stimulates hair growth. Amla is rich in antioxidants and Vitamin C, which is good for healthy hair. Wondering how to reduce hair fall with the help of Amla?. Mix lemon and amla juice together. Let the mixture dry naturally and stay on head for over two hours. Fenugreek, a very popular Indian kitchen ingredient is a high potential hair loss prevention ingredient. Fenugreek seeds also known as Methi in India culture are rich in hormone antecedents that helps in rebuilding of hair follicles and enhancing hair growth. The nicotinic acid and proteins in fenugreek seeds also promotes hair growth. Soak fenugreek seeds overnight in water and grind into a fine paste. Apply the prepared paste evenly over hair and scalp. Cover the head with a shower cap and let the paste work for 40 minutes. 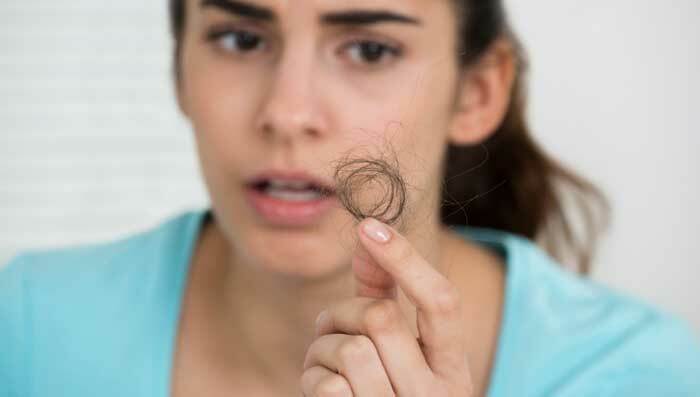 Follow the remedy for a month regularly to stop hair fall at home. Onion is a magical kitchen ingredient that stimulates the blood circulation to hair follicles and leads to regeneration of it. Onion juice is very helpful in treating scalp infection that leads to hair loss with its anti-bacterial properties. Grate one onion and extract its juice in a container. Henna is used to color and condition hair naturally. It not just gives shine and sheen, but also strengthens the hair from the roots. Honey is a natural moisturizer that provides the much needed nourishment. It hydrates the roots and therefore works in the long run to stop hair fall. It stimulates the scalp and helps in faster growth and regeneration of new hair follicles and cells. Eggs are a versatile food and help not just keeping the skin and general health happy, but also reduces hair loss to a large extent. Clove is a wonder spice that helps in stopping hair fall and loss to a large amount. Take cloves along with garlic and dry roast them in a pan. Licorice is very helpful in preventing hair loss and hair damage. It aids in prevention and reduction of scalp irritations and soothes it. It also helps in getting rid of dandruff, which is also a major cause of hair fall. Soak a few strands of licorice roots in milk overnight. Grind them together to form a smooth paste and apply on scalp. Keep the pack on hair overnight and wash with a mild shampoo. Hibiscus flowers are a tried and tested formula for a healthier and shinier hair. Hibiscus not only promotes hair growth and stops hair fall but is used as an effective cure for split ends and dandruff. Heat the hibiscus flowers in a pan and add coconut oil to it. Strain the solution and let the oil come to room temperature. Apple the mixture on the scalp and leave it overnight. Wash next day with a mild shampoo and see the desired results. The leaves of beets are as healthy as the fruit. Rich in minerals, proteins and carbohydrates, they are great for hair health. Beetroot leaves not only help in stopping hair fall but also strengthen hair roots. Boil the beetroot leaves in water and strain. Leave the mask for 30-40 minutes and rinse off with cold water. Follow the procedure at least twice a week for better results. Tea is rich in tannic acid, which helps in controlling scalp infection. Prepare a tea decoction and strain the liquid. Apple cider vinegar reduces hair fall considerably and it gives soft and manageable hair. Mix vinegar and water in a spray bottle. Spray the mixture on the scalp and hair and massage gently. Leave it on for five minutes before washing off with a mild shampoo. Potatoes are rich in vitamins and minerals and hence help in hair fall reduction and hair roots and cells strengthening. Castor oil boosts the growth of new hair follicles and repairs the damaged ones. For desired results, repeat the process at least once a week to reduce hair fall effectively. Almond oil is an active ingredient which boosts hair roots for simulation of strong, nourished & thick hair and repairs the damage to the scalp form deep within thus resulting in stopping of hair fall. Grape seed oil is an effective natural hair conditioner and moisturizer. It can address hair issues like hair fall/loss, dandruff and weakened hair. Rinse with mild shampoo and repeat weekly. You can use aloe vera as another effective herbal home rremedy for hair fall/ loss and quick hair growth. Using it regularly can also help in reducing scalp problems like, flaking and itching. Since aloe vera is mildly alkaline in nature, it helps restore the pH level of the scalp, which promotes hair growth. Apply aloe vera gel it to the scalp and hair. Leave it on for 45 minutes to an hour and wash off the hair with plenty of normal water. Follow the procedure weekly to stop hair fall effectively.